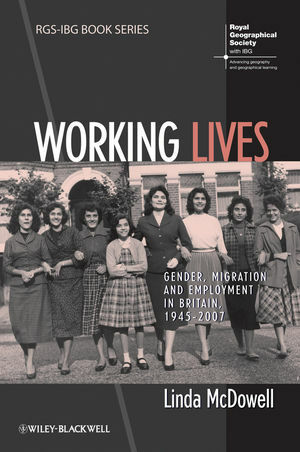 Full of unique and compelling insights into the working lives of migrant women in the UK, this book draws on more than two decades of in-depth research to explore the changing nature of women’s employment in post-war Britain. Linda McDowell is Professor of Human Geography at the University of Oxford. She is a Fellow of St John’s College, where she is the Director of the Research Centre, and a Fellow of the British Academy. Widely published and well-known as a feminist ethnographer of labour and employment, her books include Capital Culture: Gender at Work in the City (Blackwell, 1997), Gender, Identity and Place (1999), Redundant Masculinities? Employment Change and White Working-Class Youth (Blackwell, 2003), Hard Labour (2005) and Working Bodies: Interactive Service Employment and Workplace Identities (Wiley-Blackwell, 2009).